I've got a new obsession. I get these about every month or so, have a few of them going like juggling balls in the air. Right now these are going to all the California State Parks, hiking the Pennine Way in England (random, yes), and biking the San Francisco Bay Trail. Two of these are tenable, I think you can guess which two, and one of them is not as easy to accomplish. 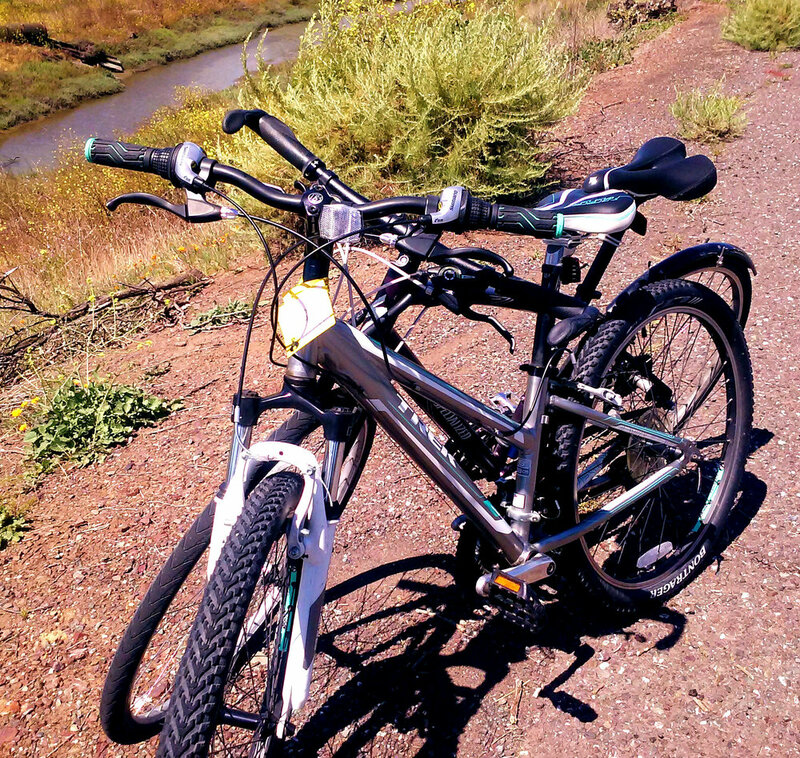 Currently, biking the SF bay trail is part of my warm up for my 50 mile charity ride in late June. So far, the most we've done in a day is about thirty-three miles. 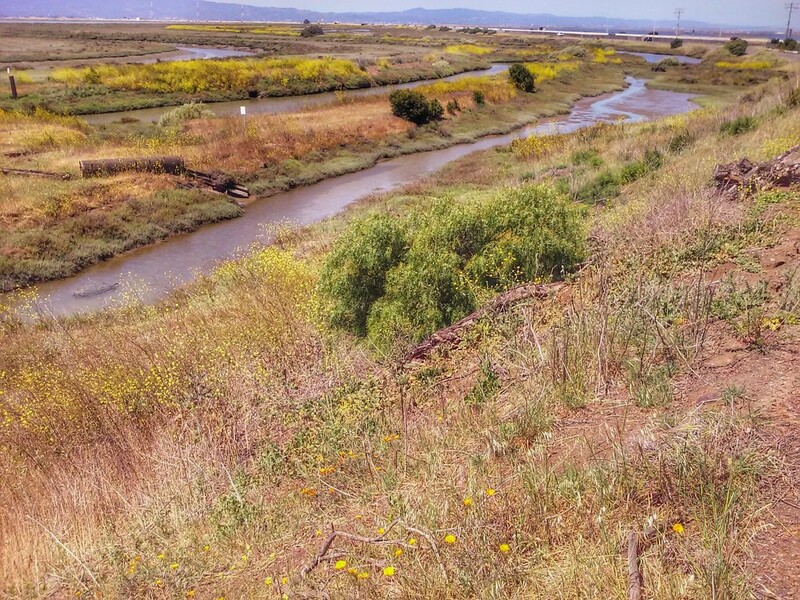 I have a ride planned for this Saturday that will be about forty-four miles from Mountain View to the Alviso Historic District and around the San Francisco Bay National Wildlife Refuge. But enough about the rides I have planned. Let me tell you about the ride we did last Sunday. We started around 10 am in Mountain View near Rengstorff. 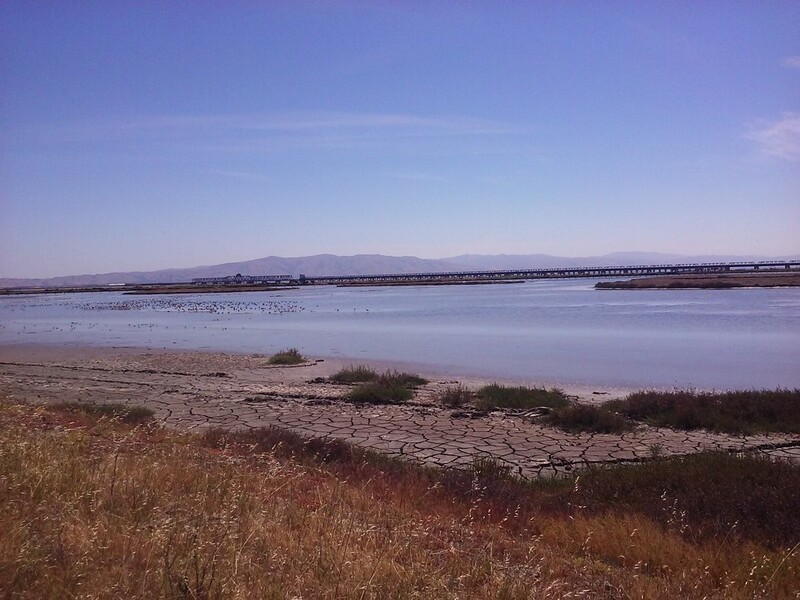 We rode along the San Francisco Bay Trail until around East Palo Alto where you have to take surface streets for a bit. This is very easy riding. The trails are mostly flat and paved pedestrian-bike paths or low traffic neighborhood streets. I love Dystopian fiction and film. As you make your way up the Dunbarton Bridge, the views are straight from The Road or an American re-telling of Mad Max: gray salt marshes, crumbling train bridges, and burned out tires stuck in mud. The only visible life are the thousands of birds that call this wildlife refuge home. The ride up the bridge is challenging if you're not in great biking shape. It is a steady climb and the path is narrow. You have to dodge the stray pedestrian or biker coming from the other direction (there is only one side of the bridge that allows pedestrian travel). In typical self-absorbed weekend rambler fashion, we nearly hit a family that could not hear us yelling repeatedly to move because we were coming down the hill and fast. The ride back on the bridge was tougher going; the wind had picked up and we were riding straight into it. I distracted myself from the difficulty by watching the shifting currents and trying to figure out what in the world was going on with those train bridges. Departing from the bridge, we rode along a rather bumpy asphalt road near the salt marshes near Coyote Hills Regional Park and the San Francisco Bay Wetland National Wildlife Refuge. The wildflowers were in full bloom and there were baby geese, so fluffy! We got ourselves lost in a residential neighborhood in Newark trying to find a Vietnamese sandwich shop and eventually found ourselves at the American-Filipino restaurant Ricepaper Café. The food here is tasty, cheap, and plentiful, plus the guy running the place was incredibly nice and showed us pictures of the pork belly they were making for special order. 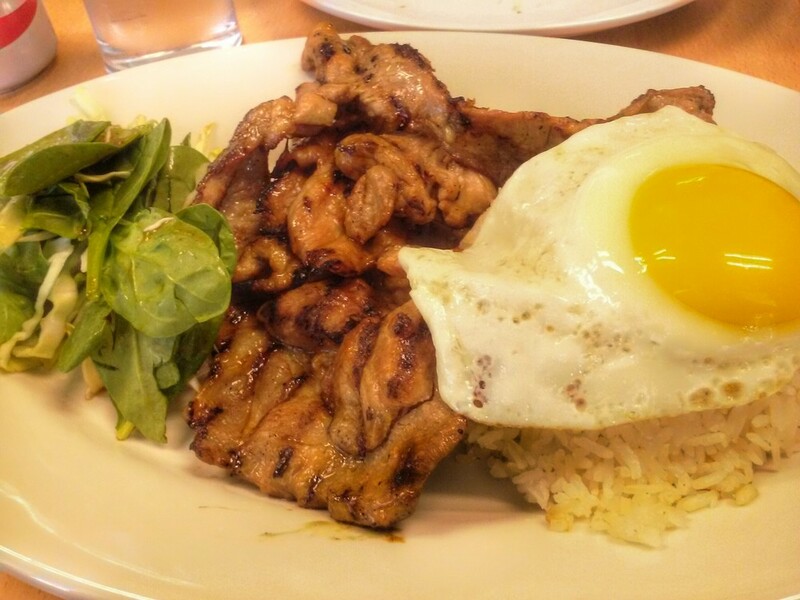 I ordered pork with garlic rice, sunny side up egg, and a side salad. The boyfriend ordered salmon with garlic rice and a side salad. The pork was incredibly tender and the side salad had a tasty dressing. We also shared pork bao which were good, but could have used more vinegar.